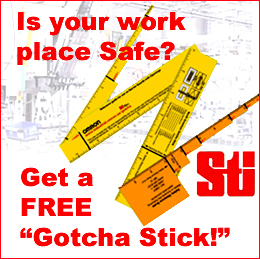 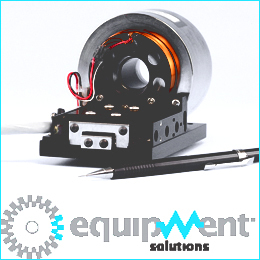 The Engineering Edge – What’s the Difference? 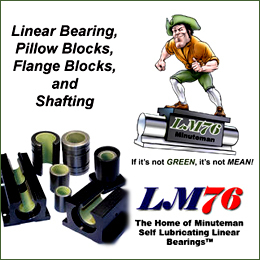 Posted in Bearings - Linear, Ceramic Bearings, Engineering edge, Linear Bearings, Linear Bearings, Linear Bearings - Comparison, The Engineering Edge Comments Off on The Engineering Edge – What’s the Difference? “New Design” Pillow Blocks from LM76! 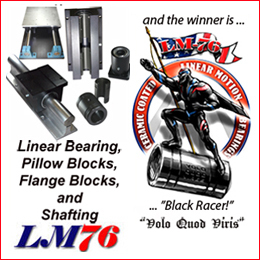 Posted in Bearings - Linear, Bearings - Linear - Seals, Linear Bearings, Linear Bearings, Linear Bearings - Pillow Blocks, Linear Bearings - Seals, Linear Motion Components - Pillow Blocks Comments Off on “New Design” Pillow Blocks from LM76! 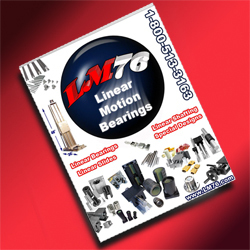 Posted in Bearings - Linear, Bearings - Linear - Seals, Linear Bearings, Linear Bearings, Linear Bearings - Pillow Blocks, Linear Bearings - Seals, Shafting Comments Off on FDA/USDA and 3A-Dairy Compliance Brochure features Linear Motion Components from LM76! 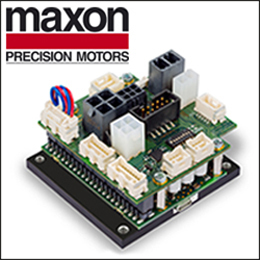 Posted in Bearings - Linear, Linear Bearings, Linear Bearings Comments Off on Pegasus Series 1 Linear Bearings – For When A Linear Bearing Simply Cannot Fail! 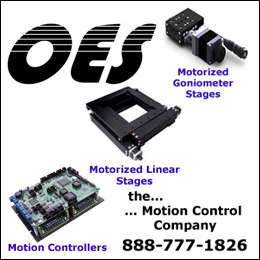 Posted in Bearings - Linear, Bearings - Linear - Seals, Linear Bearings, Linear Bearings Comments Off on Motion Control – FDA/USDA/3A-Dairy Compliant ETX Scraper Seals for Linear Bearings Used In Food Processing Applications!